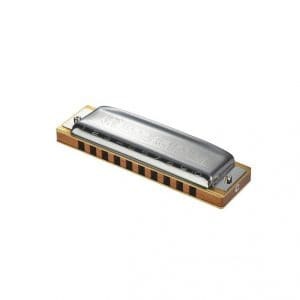 The Hohner Big River MS Pro Pack contains the three most popular keys of C, G and A. 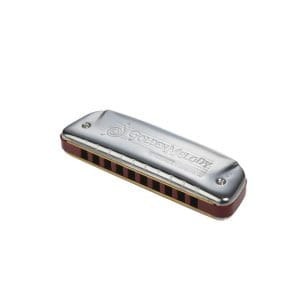 This pack of three Big River harmonicas represents exceptional value, and comes with 30 days free online lessons from David Barrett’s Bluesharmonica.com. 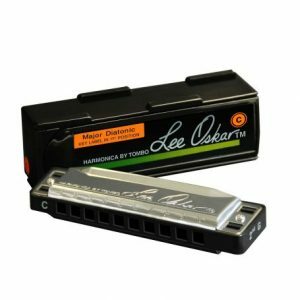 This consistently reliable harmonica combines the highest German quality standards at a more affordable price. 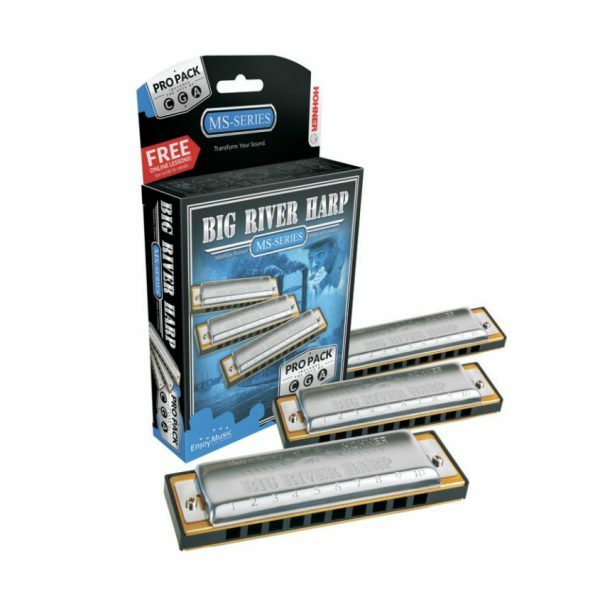 The Big River is a plastic combed, MS version of the Marine Band harp, it is a great everyday companion you can also take to the stage, where it holds its own in blues, rock and country playing. 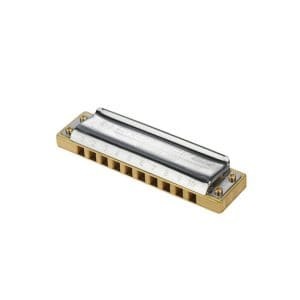 Replacement reed plates are also available.